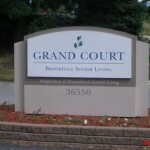 When 88 year-old Ms. W’s dementia worsened and she needed assistance with activities of daily living, her family decided to place her at Grand Court, an unlicensed and unregulated senior living facility in Farmington Hills, Michigan, owned and operated by Brookdale Senior Living, Inc. Representatives of Grand Court assured Ms. W’s family that they were accustomed to providing care for elderly residents with varying degrees of dementia and that they were capable of assisting Ms. W with her daily living needs. On November 30, 2011, around 9:00 p.m., Ms. W walked out of a door at the back of the facility that was unlocked from the inside, but locked from the outside. No one saw her leave the building. Unable to reopen the door to get back inside, Ms. W attempted to go through the patio door of a neighbor, but slipped and fell, cutting her leg all the way to the bone. Ms. W lay injured on the ground, all night, in below freezing temperatures. When she was found the next morning, she was unresponsive. She had frozen to death, alone and just 25 feet from the rear door. 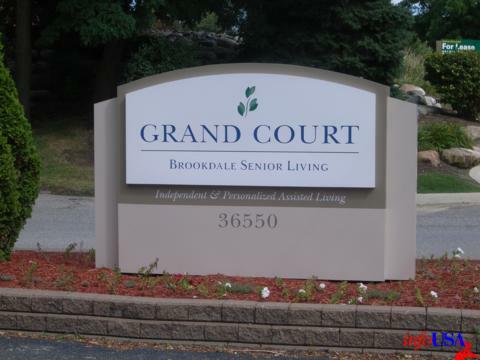 Brookdale claimed they had no duty to monitor or supervise their residents, and that they were not responsible for the tragic accident that led to the death of Ms. W.
The U.S. District Court disagreed with Brookdale’s claim. The Court’s decision states that Brookdale did have a legal duty to protect its’ residents. As a facility that caters to an elderly population, most of whom are over the age of 85, and who suffer from some sort of cognitive impairment, the likelihood of a resident leaving through an unlocked common door, suffering a devastating injury, and being locked out of the building in freezing temperatures was both foreseeable and preventable. Brookdale’s decision to leave the back door unmonitored and unequipped with an alarm system directly impacted the outcome of that night. Had Brookdale taken simple precautions – door sensor, alarm, doorbell, buzzer, or a video camera – staff members would have known Ms. W has walked out that door. One staff member admitted that, had staff been aware, someone would have taken action to help Ms. W get back inside the building, and she would not have frozen to death.